He’s helped light up Wellington’s laneways and waterfront with LUX and now Massey University’s Chris Bennewith wants to illuminate the city’s suburbs too. 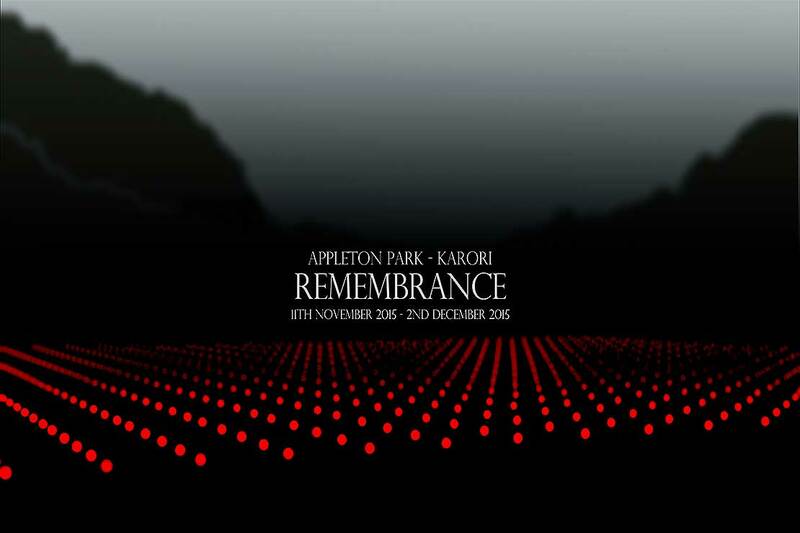 Karori is the site for the November 11 Armistice Day Remembrance project – an installation of more than 860 interactive LEDs that will be illuminated at Appleton Park in a poignant tribute to fallen Wellington soldiers at Gallipoli a century ago. 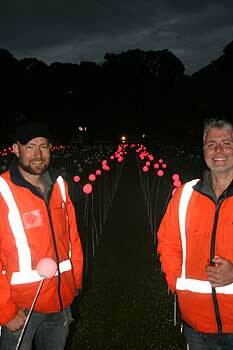 Several of Wellington’s ‘soldier streets’ named after World War I commanders border the park, making it a fitting location for such an installation says Associate Professor Bennewith, who as well as being a light artist, is Assistant Vice-Chancellor (Enterprise) at the College of Creative Arts. During the day the 860 white poles will bob in the breeze as a reflective memorial. At night, the LEDs inside will illuminate with a red light as the poles move in the wind or are pushed by bystanders, bringing to life an installation he likens to an interactive poppy field. “The effect should be something akin to wind blowing through a barley field,” he says. In some parts of Karori, people will be able to look down into the park and view what Mr Bennewith describes as “a sea of red, analogous to poppies”. Mr Bennewith has already lit his way through the year with his work on projects ranging from Squidsoup’s Submergence project attracting record numbers at Expressions Gallery to Wellington’s annual winter light festival -LUX. Remembrance was realised with the support of Wellington City Council’s contestable public art funding and research funds from Massey University. The grid like pattern of the installation is reminiscent of the layout of graves in war cemeteries throughout Europe and in Turkey. It is also reminiscent of work undertaken by the Fields of Remembrance Trust which has erected crosses in public spaces in towns throughout New Zealand to encourage community support to honour New Zealand’s fallen in World War I.
Mr Bennewith’s latest installation has now been taken down after it was badly vandalised. He remains confident that there is still a place for public light-based artwork.